What are people saying about Never the Bride: the novel? 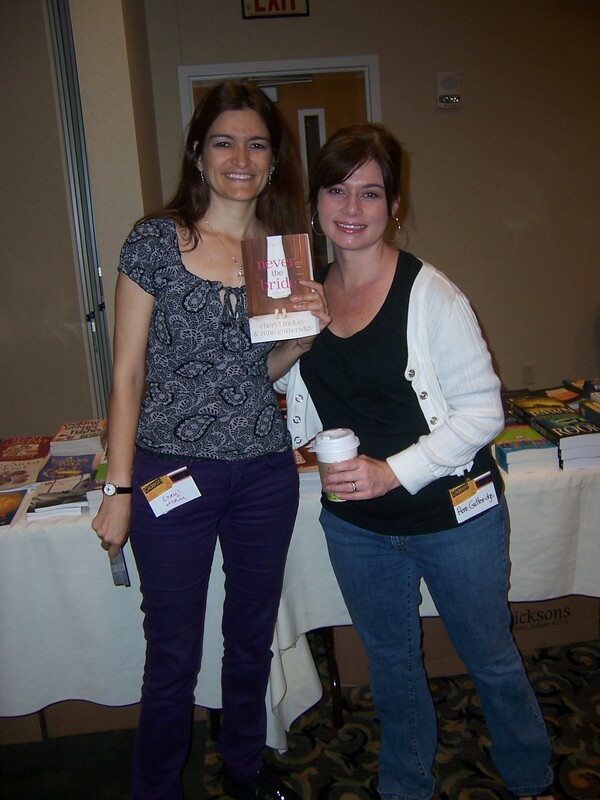 Cheryl with co-author, Rene Gutteridge at the Gideon Film Conference, when Never the Bride was first released. We’ve been hearing of camps, churches and book clubs using this book as a discussion tool. Feel free to use the following questions for your group. 1) What was the thing that most frustrated you about Jessie Stone? What did you relate most to? 2) If God came down in human form and let you pick what He looked like, what would He look like? 3) Many movies depict God as old and wrinkly. Was it uncomfortable to read a “what if” book where God is young and handsome? Why or why not? 4) What is your purple pen? What is God asking you to give up control of in your life? What are the practical steps you can take to surrender that pen to God? And how can you make sure it stays surrendered? 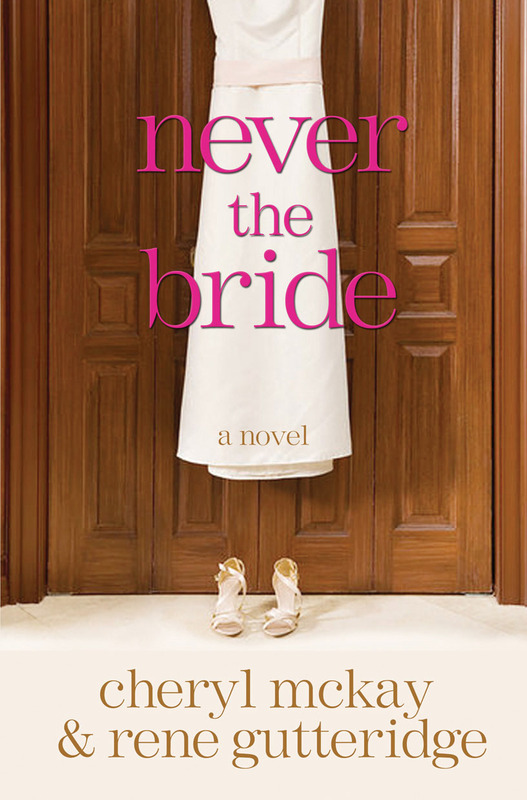 5) Whether married or single, what was the most interesting point you were left with after reading Never the Bride? 6) Like Jessie does in this story: when have you tried to convince yourself that something was “God’s best” for you when it clearly wasn’t? Do you have a sense of what God was protecting you from? 7) Can you think of an experience when it seemed like God wasn’t doing anything to help you, only to find out He was at work the whole time “Behind-the Scenes”? 8) In what ways is God’s work with Jessie preparation for marriage? (or as she calls it “Marriage Boot Camp”) What is God teaching her about life and unconditional love through the assignments He gives to her? 9) Do you believe God wants to walk with you and talk with you as closely as He does with Jessie? What can you do, to invite that kind of relationship with Him? 10) Jessie’s biggest heart’s desire is to be pursued, loved, and seen by a man. In what ways does God desire this from us? How can we pursue, love and see Him? 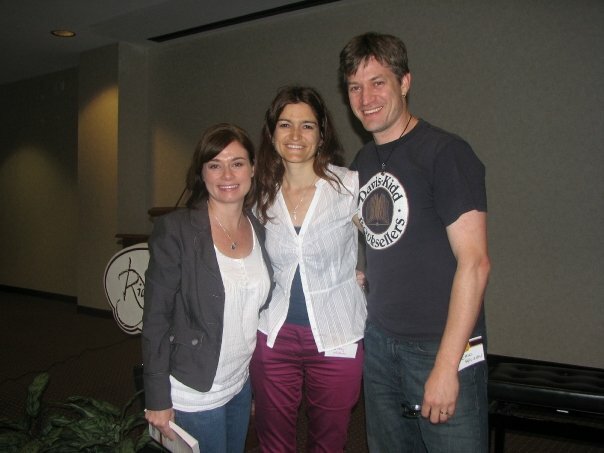 Cheryl McKay may be able to participate in a Q&A via Skype with book clubs.